Earlier this week, my daughter approached me with a request that surprised me. Her school is in the midst of a toy drive, and her desire was to bring a toy so that children who may not receive presents might have a more joyful Christmas this year. For years, I’ve strived to teach and model giving to my children. In the midst of a season that can quickly become consumed with shopping, entertaining, and busyness, I’m slowing down to reflect on how our family can make a difference this holiday season. In the midst of the busyness of work, school, and family life, it is easy to forget that there is a world outside of the 4 walls of our home. And because of the blessing of living in South Orange County, we’re often sheltered from our nation’s poverty crisis and all of the resulting effects including poor health and nutrition, and inadequate early education. Save the Children is a fantastic organization that works to provide support to 300,000 US children through their early childhood development programs. This includes the provision of quality education and preschool programs, emergency response in the event of natural disaster, famine, war, or disease outbreak, hunger relief, HIV/AIDS prevention and care, and protection from abuse, neglect, exploitation and violence. When I read the statistics or realize how great the need is, it can feel overwhelming. But helping a child succeed in learning and life can be as easy as donating a single photo. I currently have almost 3,000 photos on my iPhone…I could easily stand to donate a photo every single day to help provide parents and caregivers with necessary training and tools to create a stimulating environment that promotes learning. 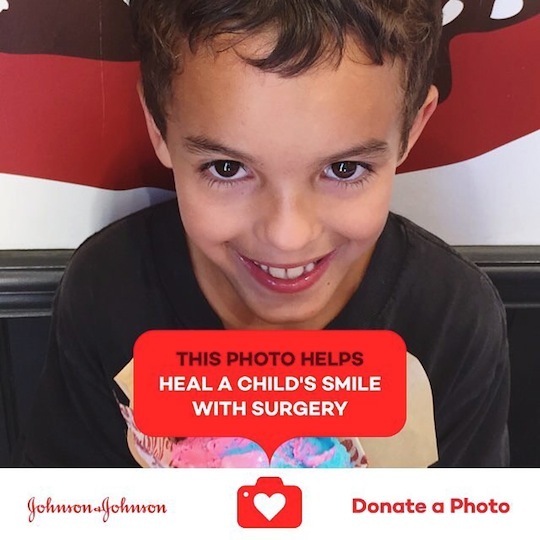 This season, JOHNSON’S has partnered with Save the Children to support early childhood development through their Donate a Photo campaign. 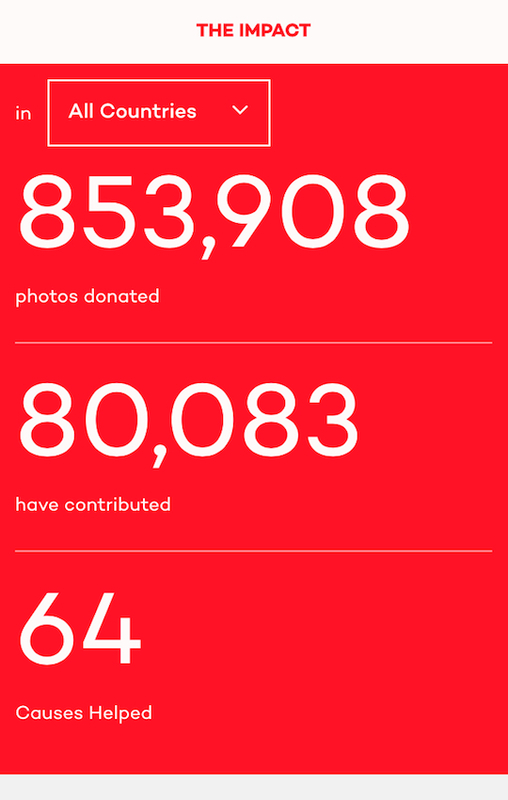 Once you’ve downloaded the free Donate a Photo app, you can donate a photo every single day directly from your phone. 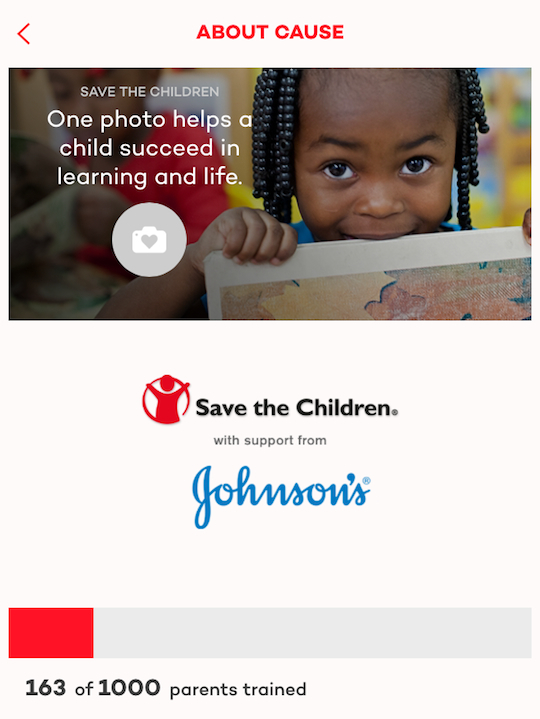 When you choose to donate through Save the Children, JOHNSON’S will give $1 to Save the Children on behalf of the Early Learning Campaign. If you’re wondering how many photos it takes to make a difference, I learned that it takes 50 photos (or $50) for an early childhood specialist to train a parent. 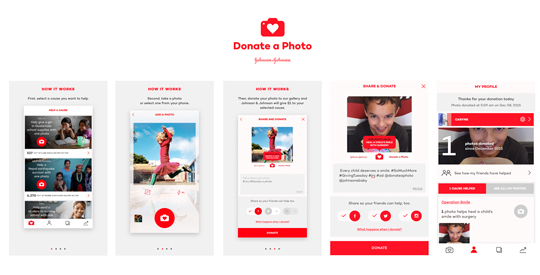 This holiday season, JOHNSON’S will triple their $1 donation when you choose Save the Children via the Donate a Photo App. You can download the free app here. Once you’ve downloaded the app, simply create a free account or link one of your existing social networks such as Facebook or Twitter. You can then select the cause you’d like to help and donate up to 1 photo per day. There are a variety of causes to choose from (I recommend Save the Children! ), and you can read about each cause, how each photo helps the specific cause, progress (for example, how many parents have been trained to date), and photos specific to that cause. The app fuses education with a social component and offers an easy, compelling way to make a difference this holiday season. For more information on the important work Save the Children is involved with, visit SaveTheChildren.org.